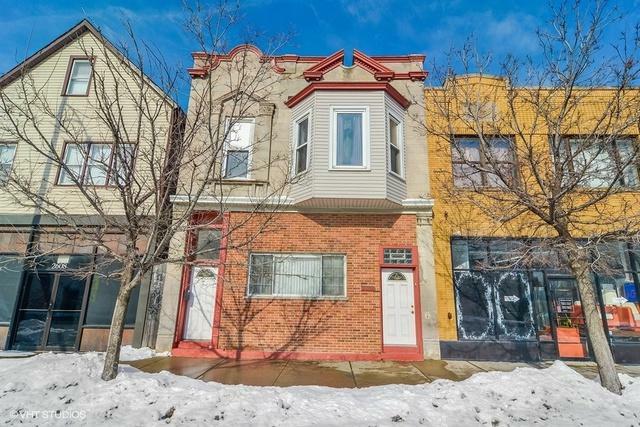 Amazing opportunity to own a 2 FLAT in Hot Logan Square with many updates throughout! Lower unit features an open floor plan with 2 beds/2 baths, renovated kitchen with custom maple cabinets and granite counters. 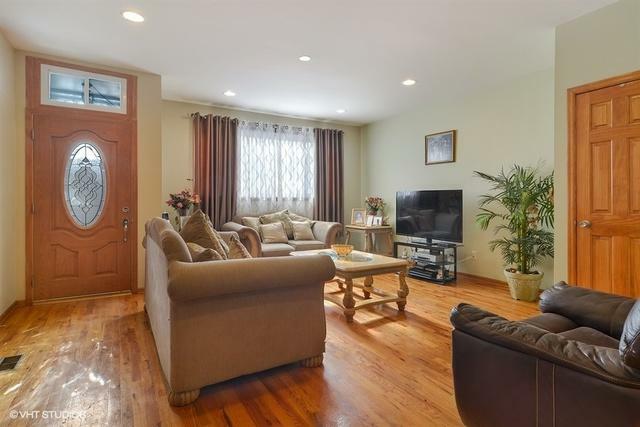 This spacious unit also has remodeled bathrooms and huge walkout deck that overlooks the beautiful backyard. The upper unit is a spacious 3 beds/1 bath flat with hardwood floors, high ceilings and lots of natural light. 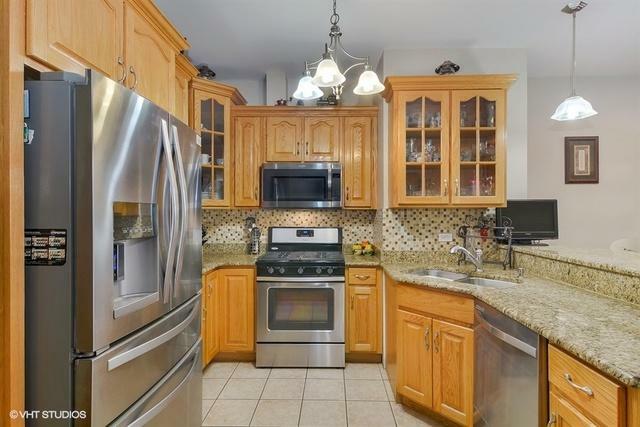 The upper unit kitchen is large with lots of cabinets. Central heat and A/C. The property has a full unfinished basement with high ceiling, lots of storage space and laundry room. Building has updated electric and plumbing (2007). There is a two-car detached garage at back of lot with alley access. Long term tenant, rent below average for neighborhood. 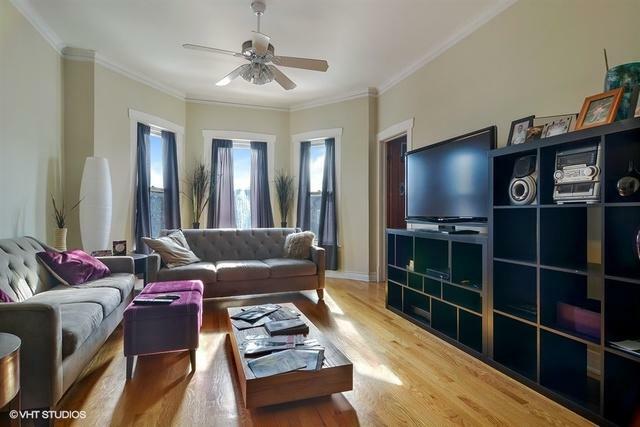 Close to all Logan Square hot spots, expressway, Blue Line and Sunday Farmer's Market! A must see!